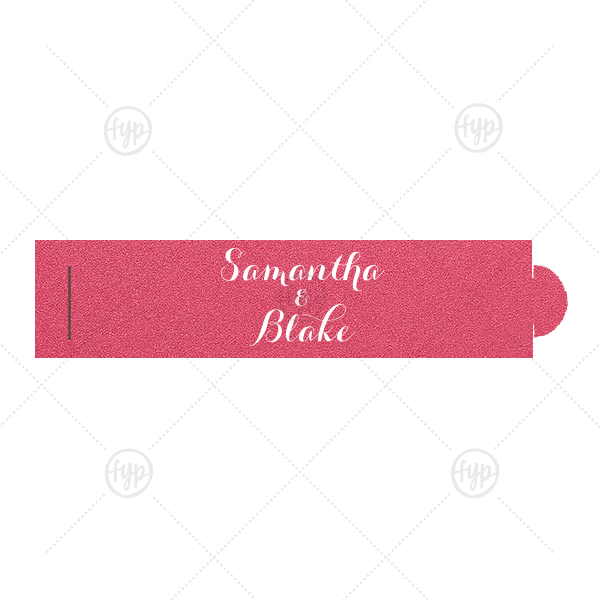 For Your Party personalized Napkin Rings are made from top-quality paper. Colors are coordinated as closely as possible to match our napkin colors, but may not be exact. Napkin Rings are primarily intended for cloth napkins. Assembly required—instructions included. The ring has a die cut slit with a flap that is inserted into the slit for easy assembly. Personalize your Napkin Rings with text and illustrations from our extensive, designer-curated collection. With over 100 paper colors, 150 fonts, 50 foil colors and 1,300 clipart images, you can create the perfect party accessories for your event. You also have the option to Upload Your Own Art for a truly unique product. Our custom Stardream Fuschia Napkin Ring with Matte White Foil Color will give your party the personalized touch every host desires.